An MoU recently inked between the Federation of Chinese Physicians & Acupuncturists of Malaysia (FCPAAM) and Sarawak Convention Bureau (SCB) will pave the way for the former to set up its regional office in Kuching, the state capital of Sarawak. The decision to have a regional base in Kuching is an effort on FCPAAM’s part to reach out to spinal health practitioners in Asia-Pacific and to grow the Malaysian sector. 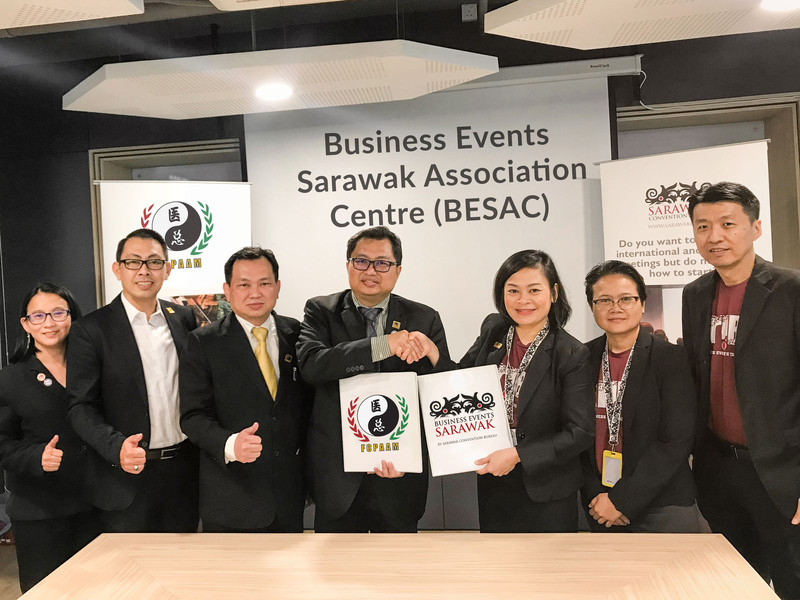 FCPAAM is the first federation to be part of the Business Events Sarawak Association Centre, an effort by the SCB to attract associations to establish regional associations in the city through incentives including a two-year complimentary office suite or a desk; complimentary Wi-Fi, and access to a welcome reception area, meeting rooms and 24-hour security. The FCPAAM office is located on Level 3 of SCB’s office at Plaza Aurora.